After drooling over the Becca Shimmering Skin Perfectors for a few months, I FINALLY forced myself to buy one and it was one of the best decisions I made. Once you buy this you'll never pick up another highlighter again. Now, Becca isn't lying. This highlighter really is like crushed gemstones. When applied on the cheeks, it gives a beautiful glow that I simply can't get enough of. It just looks so damn good in person and in pictures. 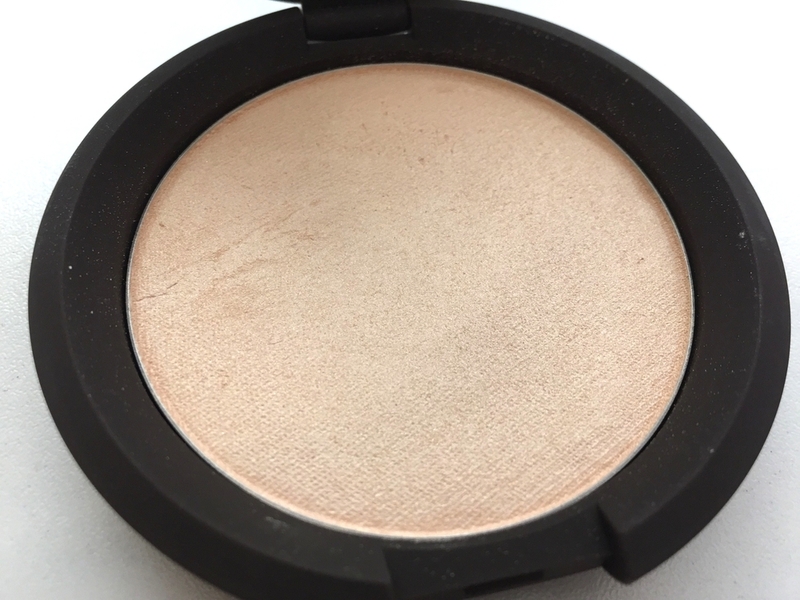 Becca offers this in five shades Moonstone, Opal, Topaz, Rose Gold, and Blushed Copper. Moonstone, as well as Opal, suits a wide variety of skin tones, from fair skin to medium-tan skin. If the skin is as tan as J-Lo's skin, then Moonstone and Opal may look too stark. Topaz is absolutely gorgeous on tan to dark skin. I'm not a huge fan of Rose Gold or Blushed Copper, but they are equally pretty. I have Moonstone and I love it so much. Opal is next on my list!. The texture of this is so soft and smooth. The shimmer particles are extremely finely milled, so you can't really detect this on the skin. Compared to MAC Soft and Gentle, I think Soft and Gentle is much more shimmery and I can always tell when people have it on. Moonstone is described as a pale gold, but I wouldn't say it's a pale gold. It's more of a pale gold/silver?? I'll let you decide. BAM! You get this lovely sheen that doesn't make you look like a fairy. My favorite brush to apply this is with the Smashbox Fan Brush. It's a bit stiff, so I can really control where I want the the product to go. If I could recommend just one to start off with, I would go with either Moonstone or Opal. Ingredients: Talc, Caprylic/Capric Triglyceride, Isostearyl Alcohol, Petrolatum, Silica, Boron Nitride, Nylon-12, HDI/Trimethylol Hexyllactone Crosspolymer, Cera Microcristallina/ Microcrystalline Wax/Cire microcrystalline, Dimethicone, Acrylates Copolymer, Polyethylene Terephthalate, Synthetic Fluorphlogopite, Calcium Sodium Borosilicate, Calcium Aluminum Borosilicate, Tin Oxide, Sorbitan Sesquioleate, Paraffin, Magnesium Stearate, Polyethylene, Tetrasodium EDTA, Potassium Sorbate, Chlorphenesin, Mica, Titanium Dioxide (CI 77891), Iron Oxides (CI 77491, CI 77492, CI 77499), Manganese Violet (CI 77742).